Wireless networking has become a very important aspect of human life. The global marketplace has forced businesses to find new ways of reaching their customers in countries around the world. However, wireless networking isn’t just for business owners. Various people in every way of life rely on wireless networking for different reasons. Teenagers, young adults, parents, and even senior citizens count on wireless networks to perform a wide range of tasks each day. From paying the bills to visiting favorite social media sites, consumers depend on these services in an ever-increasing number of ways. Today’s business people can’t survive without wireless networks to maintain an online presence. Dependable networking is extremely important for the success of any business in this complex online world. There are various providers who specialize in wireless networking. Both individuals and businesses now have numerous options available to them. In this sea of service providers, it may be difficult to find the service that best suits your needs. Each business has its own requirements and usually a tight budget to work with. Managed wireless networking services are most often offered by professionals. These are IT pros who specialize in wireless networking and a wide range of other services. Outsourcing your IT services can make your life much easier. But it’s important to find a provider who understands the specific needs of each customer; someone who will become a trusted partner. This is one of the major pain points of small business owners. They feel as if their IT needs will be lost in the busy workday of an IT specialist and they will not get the exact networking solution they need to thrive in the marketplace. Upon contracting for managed wireless services, the service provider brings his or her own team of professionals in to do all IT-related work. The costs for getting your professional services are factored into the contract price. Usually, this includes 24/7 support, which can be a big expense for some. This can eliminate a major headache for most business owners. You don’t have to hire and train employees to perform these services. Managed wireless networking services thus ensure that businesses employ a smaller number of personnel and therefore save on hiring costs. One of the major benefits from outsourcing your IT services is that you can get exactly what you need at a price that fits your budget. Managed service providers are specialists in their field. They are in a position to offer customized solutions to their clients. They most often have an IT consultant on staff who will work with you in determining your specific business IT requirements. 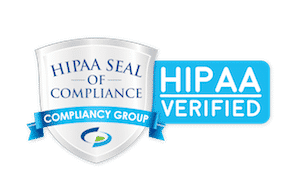 For some, this is an easy process and for others, it is more complex due to HIPAA compliance and other government regulations. Most small business owners are not experienced enough to determine how to best handle these complex issues. But, an experienced IT professional knows. Depending on the service provider that you decide to partner with, you may have the option of choosing from different wireless options. The advantage of this is that you can choose specific services depending on their prices. You can select scalable options that will grow with your company. Managed networking service providers usually deliver many extra services, such as assessing, designing, deploying, and managing network services. This can take a real load off any business owner’s plate. It can be a burden to deal with older equipment that’s constantly breaking down. But if your contract includes unlimited service calls, you can rest easy. You won’t have to pay extra or employ people to handle things. As a result, you get inclusive services and at rather affordable costs. Your employees don’t have to spend time trying to fix networking equipment that breaks down. Simply call your IT service provider and you can get back to doing your regular job. With the increase in the number of cyber crimes, managed networking providers become very important. First of all, these people are in a position to handle any type of data leak or security issue. Having the necessary knowledge of the latest advancements in cyber security is a valuable asset. Your managed service provider is responsible for keeping your systems well-protected. Secondly, cyber thieves are constantly improving their methods of breaking in and stealing your data. Keeping up with these issues is a time-consuming and complex task. With managed wireless service providers, you do not have to worry about this. Your provider will stay on top of all the latest technology to ensure that your computers and network are protected. This helps to reduce your liability as well. Managed wireless networking agreements state an exact amount of money that the organization is to pay for their services. This means that your company can budget for these expenses. This eliminates enormous charges for broken equipment and outdated software. In most cases, the cost of handling all these problems and charges for networking and computer repairs will be far more than your regular monthly charge. This gives business owners peace of mind and prevents unexpected charges. In this era where wireless networks are an absolute necessity, it’s wise for any size business to opt for managed IT services. Find professionals in your area that have a good reputation; a company that stands behind its promises. Most IT service providers include regular maintenance to keep your computers running smoothly. They ensure that your network is protected against cyber intruders. Managed Wireless Networking Providers are a great choice for any organization looking to alleviate the burden of networking, computer repairs, and dependable IT services. Computer Security and Vulnerability Scan.